So Gramps and I decided to go on a little camping trip to Iowa, spending a few days with his two cousins and their wives along the Mississippi River. Just a week to get away from the heat here in Texas, visit with family and enjoy the outdoors. Sounds simple enough, right? Doable, easy, no big problem. Well, that’s what I thought too, at least on Day One. The first day of travel was uneventful. A peaceful day of driving and arriving at a pleasant State Park in Kansas. After a couple nights in another campground, we headed for the Iowa State Park and the group campout, although with one camper tire that had turned up low on air. After re-inflation, things started to fall apart, although we didn’t know at the time how much. Other drivers passing us started pointing. I thought they were rude. Gramps finally realized something was wrong and pulled over. Sure enough, a flat tire. Not just a flat tire, but an exploded tire! We were driving on the rim and the tread was wrapped around the axle. Gramps was unable to get the lug nuts off the wheel because it kept turning – brakes wouldn’t hold it, chocks no good, pry bars…nothing. And we couldn’t call for help because we were in a “No Service” area – cell phones wouldn’t work. Well, we were just going to have to rely on the kindness of strangers, so we flagged down a nice gentleman who drove Gramps to the nearest spot where the phone would work and he could call for roadside assistance. As things happen, a nice burly man stopped on his own accord and offered to help while Gramps was gone. He was able to get the lug nuts off and started to replace the wheel. I could not call Gramps to tell him to return because, as you recall, I was in a dead zone. By the time Gramps did return, the tire was almost in place and a service tech was on his way. We finished getting the spare on, thanked all our helpers and drove off to find cell coverage, and cancel the service request. We soon arrived at the State Park, set up, had dinner and fell into bed. During the night, a big thunderstorm came up and we noticed a leak coming from the skylight. So we put a big bowl under it and went back to bed. Before sunrise, I picked up my clock to check the time (5 am!!) and found my hand in a pool of water on the top of the bedside table. At the same time, I felt water dripping on the back of my hand. We had another leak!! We got up and sopped it all up with paper towel, then put another bowl in place to catch the drip coming from the ceiling. No more sleep for us. That same day, we discovered the carpeting in the living area was sopping wet. Not just wet, but saturated, soggy, boggy wet. We finally discovered that the water tank fill hose is in that corner and we had used that inlet to fill the tank with about twenty gallons of water the previous day. Searching further, we found a large cut in the hose, which meant that most of that water leaked into the camper and got sucked up by the carpet. Well, we tried sopping it up with paper towels until we ran out. It became clear that paper towels were not going to do the job, so to save the flooring, we started removing carpet. Gramps cut out a four foot square of carpet – can’t tell you how ugly THAT looks!!! Then we decided to put the fan down on the remaining carpet to help dry it out. The only problem? It’s a 12-volt fan, without an outlet in that area. Time to go to Wally World!! We needed a 110-volt fan and certainly more paper towels. By then the cousin couple from Michigan had arrived, so we all began setting up their unit and cheerful visiting. All was well for the rest of the day. Next day, we found the truck carpeting along the sill was saturated. Did it leak in the all-night rainfall? Yes, we tried paper towels by the roll. Then Gramps pried the carpet up with screwdrivers and pliers to allow air circulation. By the end of the day he had added a hair dryer that eventually ran three straight days and nights and never did dry out the carpeting. Then the camper lost battery power, which meant we had no 12-volt lights or water pump, and no water service. We started hauling water in a big tub from the fill station to the camper for the toilet and the sink. That was a fun day!!! Meanwhile, battery trouble-shooting continued. Suddenly the next day, the battery power come back on all by itself. No one knows why or how. We were just glad that finally something good had happened. Finally all three families had arrived and we had nightly campfires together. We had drinks for everyone, big dinners made by one couple each evening, long talks, lots of laughs . . . and bugs. Biting bugs. Bugs that bit some of us but not all of us. That’s right, I was one of the chosen and in two evenings was covered on my hands, arms, back, legs, ankles and feet. With so many bites I looked like I had measles. And itch?!! I felt like a bear in heat. I was rubbing on everything and everybody. Then the truck door panel, held on by one screw because Gramps had been working on it, came loose when the screw fell out and so every time he opened the door, the panel fell down a few inches. It had to stay connected for mirror and window power. Solution? Climb across from the passenger door. No problem!!! Oh, and don’t use the driver side window either, because it had become unreliable and got stuck in open position once. So when going through Toll Booths, Granny had to jump out, run around, pay the toll, run back and jump in the truck. Quite a sight really!!! Days with the cousins were fun. We shared meals, we shared war stories, we shared many laughs and hugs. The campout was over too soon. Time to get ready to go home. Make plans to do it again. Stock up on wine from an excellent Iowa winery, stock up on fresh sweet corn. ( We were in Iowa remember!! ). Get the camper ready to go. While breaking camp, we found that one of the gray tanks couldn’t be drained due to a broken tank valve. Yikes!! I was starting to get a little paranoid. What more could happen? I didn’t even want to think about it. We drove home with dread following us. What was going to happen? Where would it happen? Our first day of the return trip, we got to our campground with no issues. Maybe our luck had changed. The last day started out fine and then suddenly Gramps began slowing and pulled over to the shoulder – he heard and saw yet another tire (the old spare) flailing. It couldn’t be!!!!!!! BUT IT WAS!!!!! And it was the spare tire we had put on after the first blowout. Yessirree!!! The exact same tire!!! We were getting pretty good at changing tires by then. I knew exactly where the jack was and how to put it together. We had just been through this routine. It all was very familiar, and even a blessing to have trouble on a beautiful day, good highway, little traffic, and plenty of space for the tire change. In hindsight, we should not have used that old spare, but rather the new tire. By now, I was laughing a bit hysterically. It all seemed so funny, so ridiculous, so arbitrary. Whereas earlier, I was stressed and worried, thinking how will we make it through all this? If anything more happens, I will surely crack. But then more happened and I didn’t crack. It all looked pretty funny now, so absurd. We had no control of anything, we might as well enjoy the ride. We sure couldn’t stop or change it. When my mind changed, it became a lot more enjoyable. It was almost exciting, waiting for the next catastrophe to occur, to be surprised by the next disaster. We started making bets on what would happen next. Would we arrive home in a ball of flame? Would the grey tank become too full and spill into the camper? Would the roof come off in a wind gust? The options went on and on and got more bizarre. But it kept us entertained that last four hundred miles. We got home in one piece, so to speak. But we were limping for sure. We got the camper into emergency surgery the next day, thanks to our sympathetic RV dealer. We had only four days to get her fixed before a two-week trip to California. Four days later she came back with all the immediate needs fixed. Good news! We could go to California without a care in the world. She would work like a charm. So we got her home, opened her up. OMG!!!!!! She was full of ants!!!!!! Ants everywhere!!!!!!! ANTS, ANTS, ANTS!!!!!!!!!!!!!! It feels like deja vu. Am I in the Twilight Zone? I’m back to hysteria again. Recently I went to the Houston Quilt Show and the quilts I saw there were spectacular. Of course I was drawn to the blue and white ones because that’s just how I roll. And I began to think of what could be done if you had just one piece of blue fabric. Maybe not dozens, but just one. Not a shopful , just one. Well some people are really good at answering that question. I started to see some of the quilts in a new light. Here are some of the pretties I saw in one day. Is this one wonderful or what? It is a garden with bugs and all. Here is a closeup of the ants. Too cute, right? I adore this one! All the different baskets and the handles at all different angles. This one reminds me of whirligigs. Maybe I’m showing my age and some of you don’t know what whirligigs are, but they look just like this quilt. Tee Hee! How fantastic is this?! 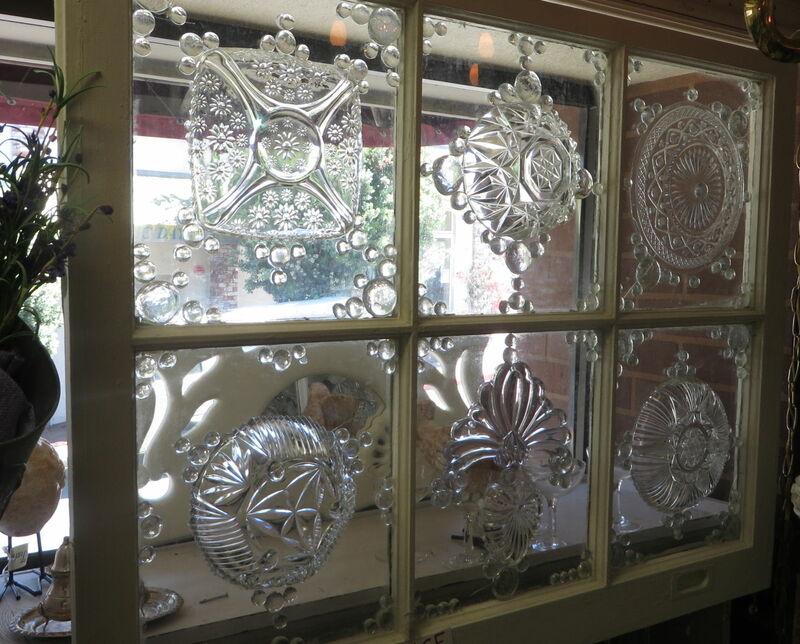 It’s like looking through many little stained glass windows. Or maybe a dozen or more blue snowflakes. Anyway this one is truly great! 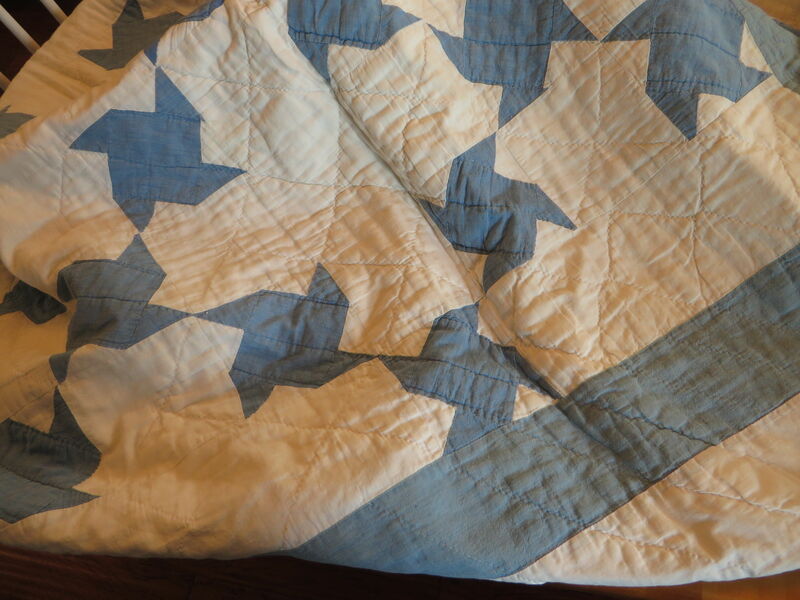 I really like the assymetrical look of this quilt. I don’t usually think that way, but I love it when others do. All the blue here is in the background. Another thing I seldom think of, but love it when others do it. What a great illusion this creates from a distance. And all those tiny pieces! My goodness! I can’t even imagine how this quilt was made! I’m so impressed! The Flying Geese are beyond spectacular! Another quilt where most of the blue is in the background. Love that starburst! Here is my favorite blue and white. Can’t go wrong with the standard color combination. The piecing that went into this beauty is beyond my imagination. It looks 3-D. A very modern looking design but the blue and white coloring draws me in. There are no words for this one! It looks like it is moving! Hard to accomplih with pieces of fabric. But very well done by this quilter. And this was not all the ones that were there, just the ones that I saw. What a lovely day! 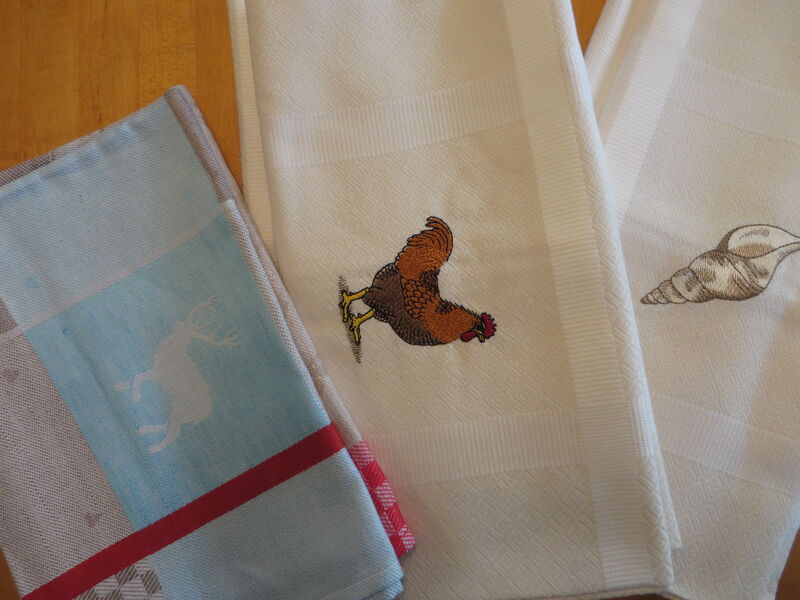 My blue and white love was well met by the wonderful quilters at Houston. And I wish to thank each one for filling my heart as well as my eyes full of beauty and craftsmanship. If this much can be done with blue, can you imagine what can be done with all the colors of the rainbow? Another September, another week at Walnut Valley Music Festival in Winfield, Kansas. What a delightful, wonderful way to get saturated in bluegrass, folk, country, gospel, celtic and every other kind of acoustic music you can imagine. Camping in the 5th wheel at the Fair Grounds and listening to instrumental and vocal tunes all day is my kind of vacation. Gramps and I have been coming for about five years now and love it more each time we are here. The music comes from all parts of the world, yet needs no translation. We understand each rhythm and beat. It’s truly magical, even if we don’t know the words. 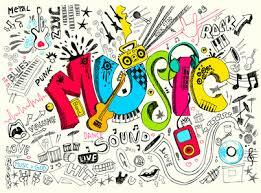 Music is like that – it speaks to each heart if its own language. Even children and infants understand the seeming foreign tongue of a lyrical tune they have never heard before. People who can’t understand each other’s spoken language, can read and share music, providing a bridge across every barrier. Instruments are played, songs are sung, toes are tapped and fingers are snapped. It’s the beginnings of dance and we all have it in us – the response to music. Simple words and notes can make us cry or laugh, pause or become excited. They can make us feel every emotion or stun us as though we have been slapped. They can stir rebellion or quiet the raging soul. Nothing affects us quite like music. 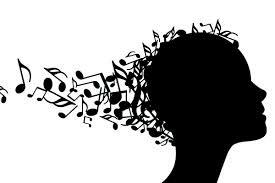 Music can do things like nothing else in the world. It can change a child’s brain who learns to play an instrument. 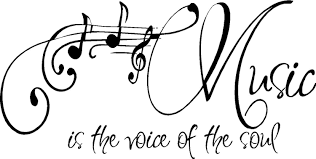 It can enrich a child’s life who sings in a chorus. It can enlarge a child’s world who plays in an orchestra or band. Nothing affects a child the way music does. 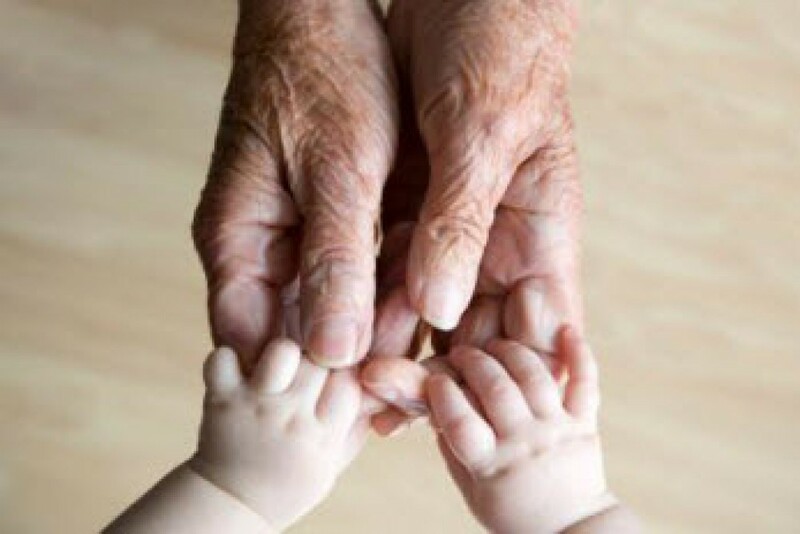 Gramps and I have done it all – we have sung in choirs, played instruments, taught songs to our children and grandchildren, provided music lessons to younger family members and probably sung “Happy Birthday” at least once to everyone we know. Walnut Valley Festival is one of the places we visit to learn, understand and share that mystical language we call music. 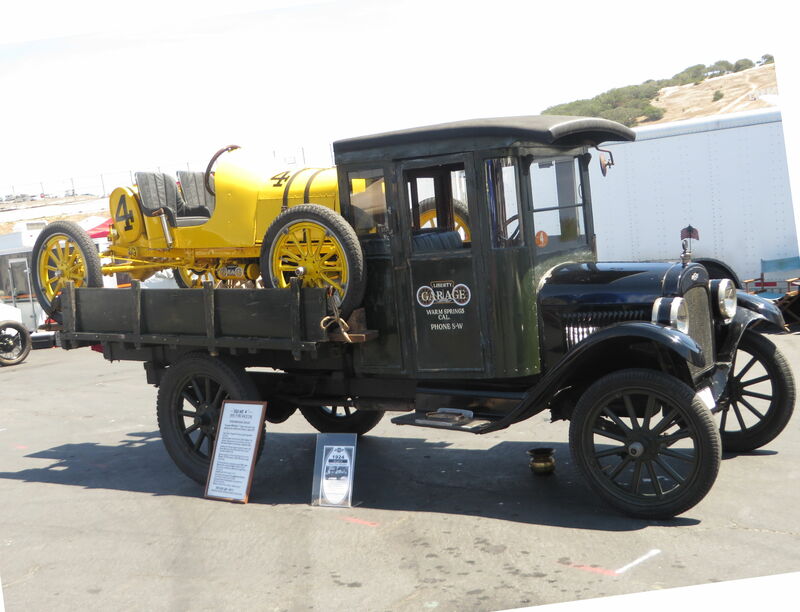 Car Week at Monterey, California is a Mecca for anyone interested in old cars, new cars, unusual cars, one-of-a-kind cars, expensive cars, junk cars, sports cars, any cars for that matter. That person would be Gramps. This is a yearly trip for us in our truck and camper. We stay at a campgrounds very close to the beach and near several restaurants. The weather is cool and breezy, and we get out of the Texas heat for awhile. It is all very fun and wonderful. 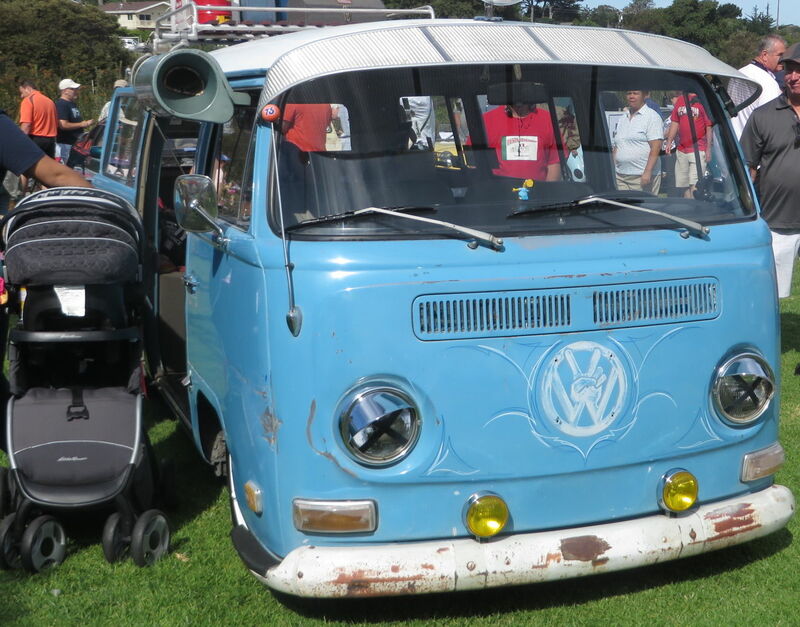 Gramps loves all the cars – and I do mean ALL the cars. He looks at every one. He takes photographs. He takes videos. He talks to the owners. He does this all day, every day. Now I love Gramps and I try to be supportive, but after the first 50 cars or so I get a little bleary-eyed. Let me tell you my view of Car Week. 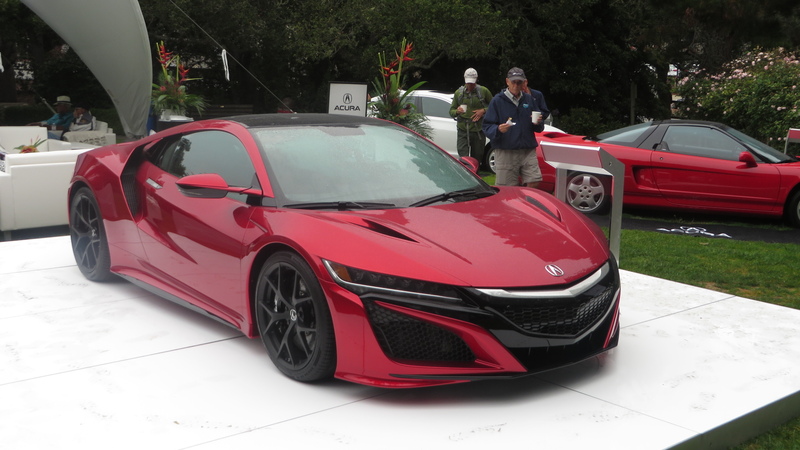 Tuesday – The Carmel Concours with many stylish show cars, including the new Acura NSX. There were Porches and Metropolitans and an American La France fire engine converted into a car. Carmel is also home to many cute shops and boutiques. One shop I go to every year is the Christmas Store. I get ornaments for all the grandchildren and have them personalized and dated. 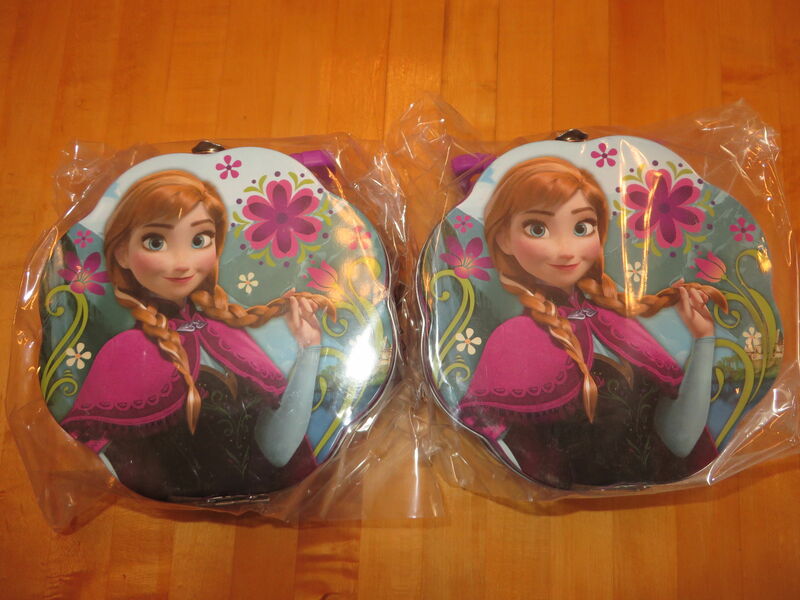 I also found a couple of Frozen themed boxes for the two little girls. 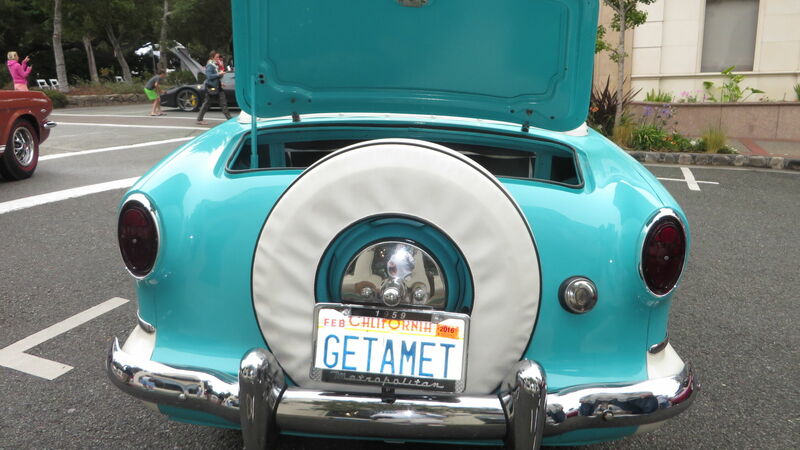 Wednesday – The Little Car Show in Pacific Grove. 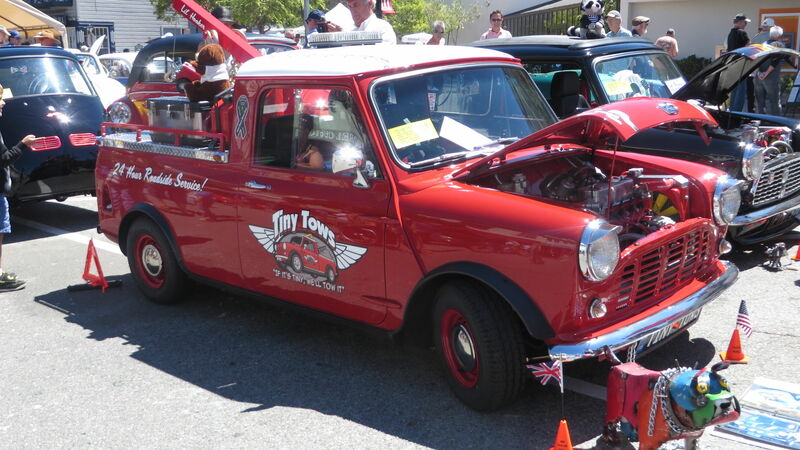 Now this was a really interesting display of all the smallest cars in the world. Mini cars with mini engines, mini wheels and cute mini parts. Everything tiny and compact. Me? I found some wonderful regular sized shops, where I bought fabulous things. 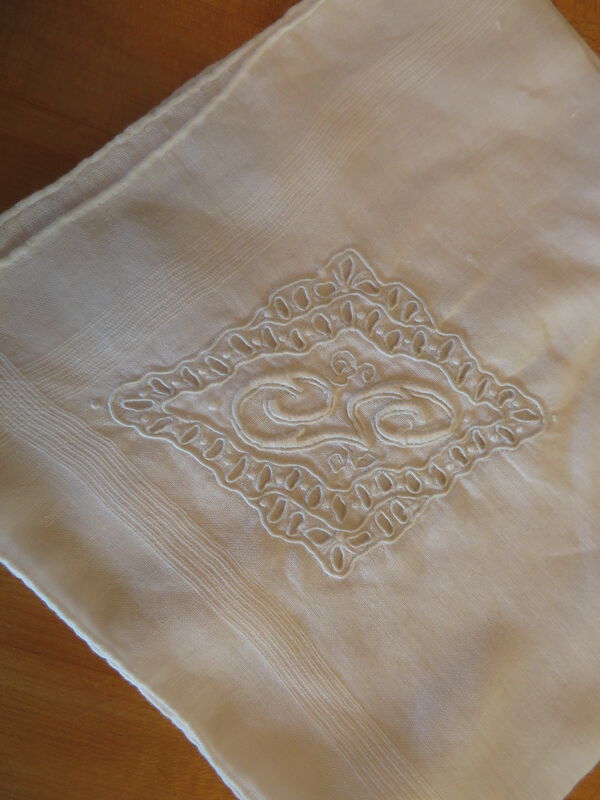 At one antique shop, I found a white infant dress, embroidered with a slip for $15, a monogrammed handkerchief and a beautiful blue and white vintage summer weight quilt. We also had lunch at the best bakery ever! What a wonderful day it was! 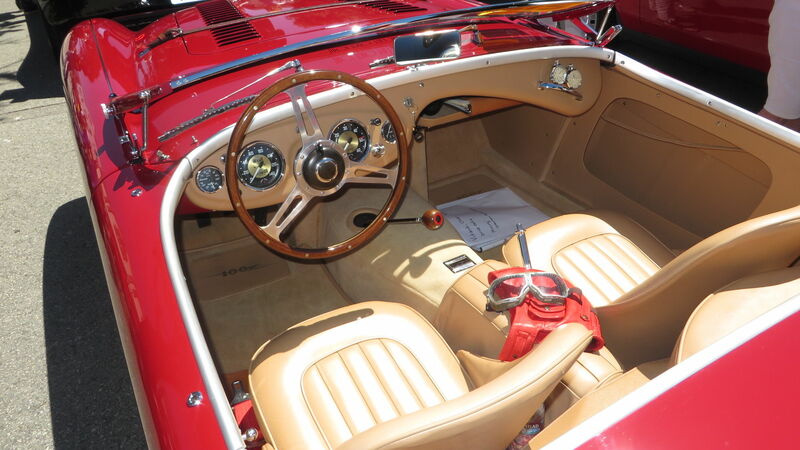 Thursday – The Tour d’Elegance, which was the Pebble Beach Concours cars on tour. These are primo top-of-the-line cars. 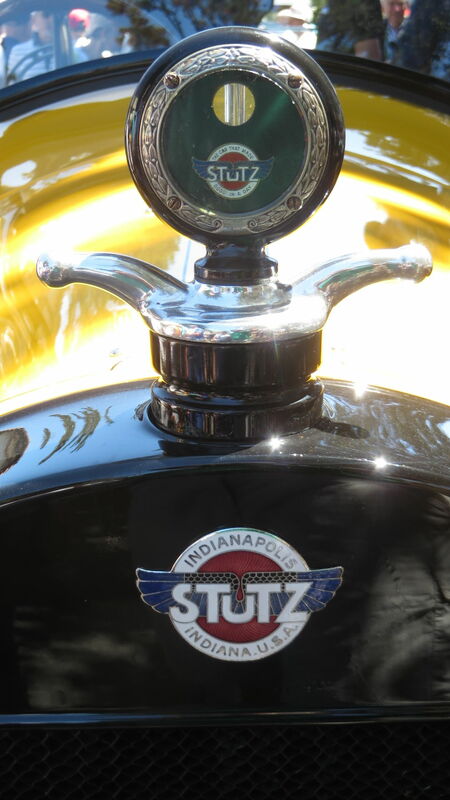 Lots of brass, silver, leather and works-of-art hood ornaments. Very classy, very showy. Lots of sparkle and shine. And it’s all free for the public to enjoy. I however, discovered a couple of wine tastings. 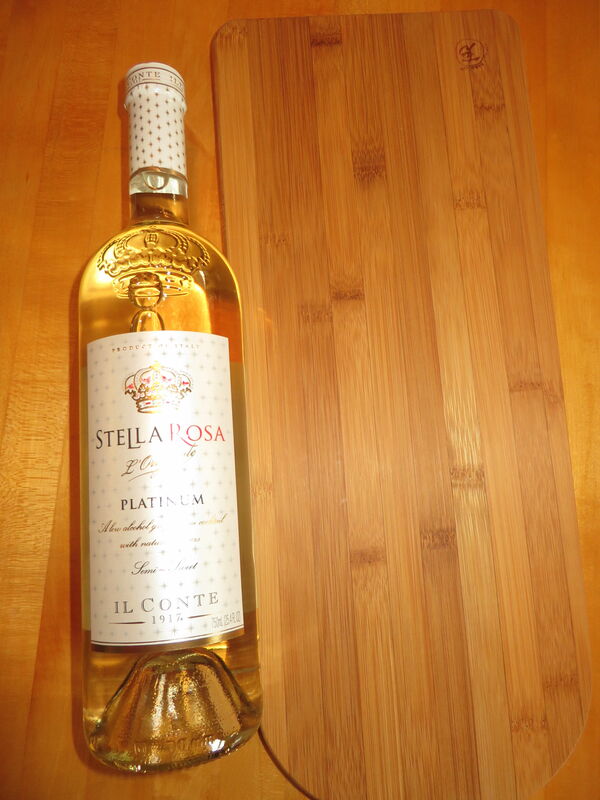 Purchased a bottle of wine and a gorgeous cutting board. Shopping everywhere! Isn’t it grand! 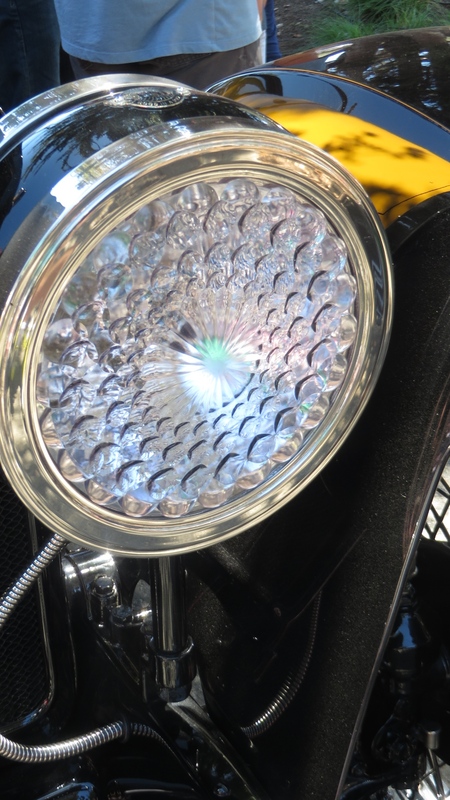 Friday – The Pacific Grove Concours and Rally. A car show and then a tour of the cars Hearing the engines roar and the horns beep was the most fun. After awhile I was off shopping again. Of course, we had breakfast first at our favorite little bakery. Must fuel the day. 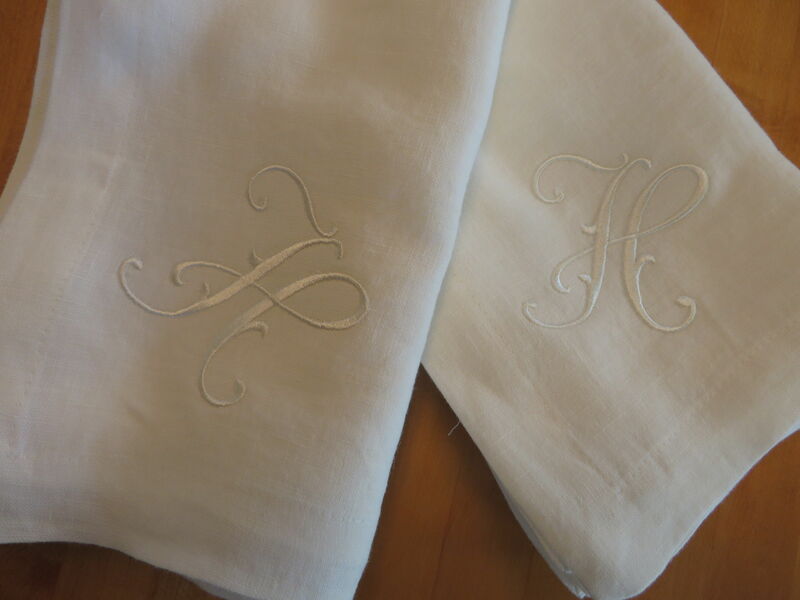 Then I was off to a small linen shop for embroidered tea towels for Christmas gifts for friends and a set of monogrammed napkins for me. Very French! Another great day! 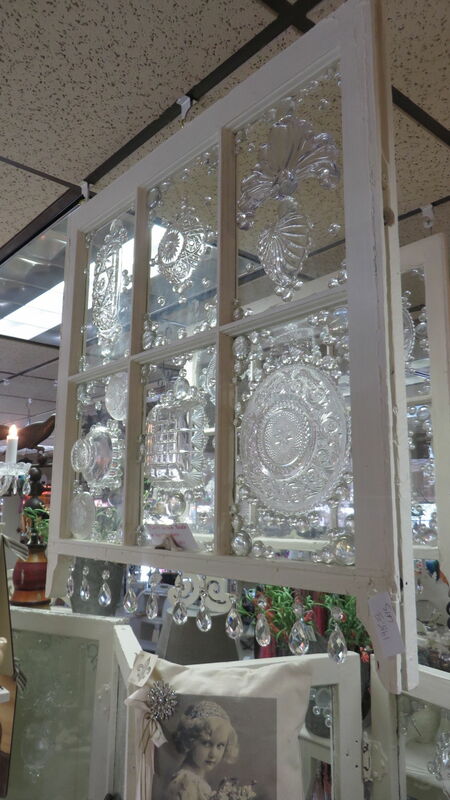 At the end of the day, I found a lovely little antique shop among all the sweet vintage buildings.It had the most interesting old windows with vintage glass pieces glued on. I’m thinking of doing this project for myself when I get home. I think I have all the makings except he window. 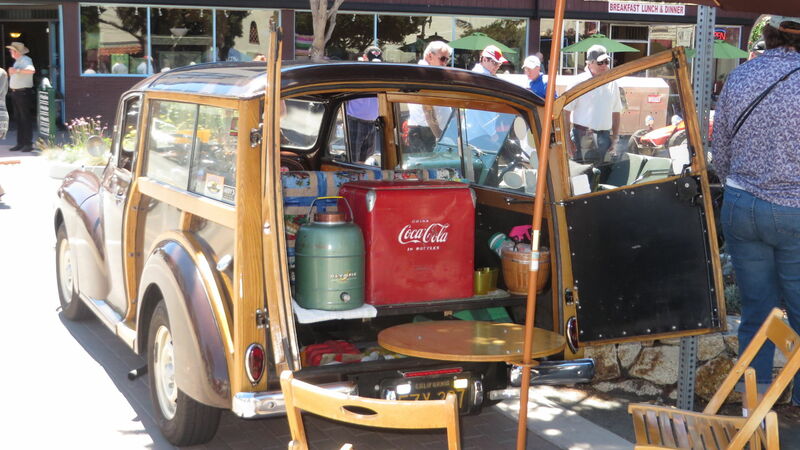 Saturday – The Concours d’Lemons, a spoof on car shows in general and the Pebble Beach Concours d’Elegance in particular. These are the worst, oddest and quirkiest cars vying for “Worst of Show” any way they can, including bribing the judges. This show I really enjoyed and looked at all the cars in all the categories. When it started to get too warm, I spent the remainder of the day in the shady tent lounge provided by one of the vendors. A good day all around! 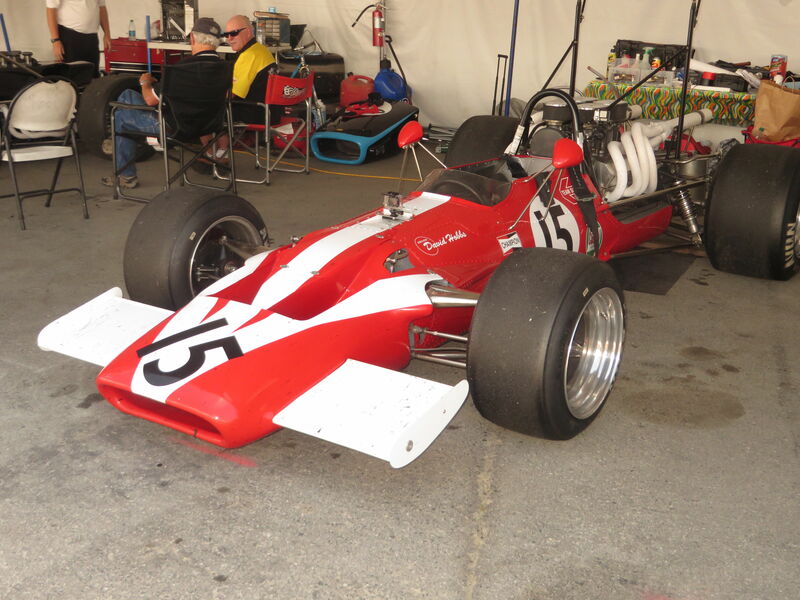 Sunday – The Historic Races at Laguna Seca with hundreds of race cars from the 1920’s to 1970’s. Gramps and his brother attended this but I did not. It seemed the perfect way to end the week. And that is how Granny does Car Week – with a credit card and a shopping bag!